Graduate Director and Full Time Faculty Academy of Art University School of Architecture. Guest critic – Academy for International Education Düsseldorf, exchange program with Texas A&M University, Texas, USA. Guest critic at Morgan State University, Baltimore, MD, USA. Guest critic at the School of the Art Institute Chicago, IL, USA. Guest critic at the PBSA Düsseldorf School of Architecture. Guest workshop at Cologne Institute of Architectural Design (CIAD) – Cologne School of Architecture, Germany. Guest critic at the University of Houston, College of Architecture, Texas USA. Organizer of the international workshop week „Gestalten 2.0“ at the chair for design methodology and representation at the Technical University Munich together with Tobias Klein, Dietmar Koering, Denis Vlieghe, and Peter Dell’Uva, guest teachers from the Architectural Association London, the Ecole speciale de Architecture Paris and the University of Tokyo. Guest critic at „munichstudio UCLA“ studio Prof. Peter Ebner, Munich, Germany. Workshop and Spatial installation at the 12th international Architecture Biennale in Venice „Desire for Identity“ German Pavillion 2010. „Transformation Cube“ design workshop at the Detmold School of Architecture. Guest critic as part of the „End of Year Show“ at the Southern California Institute of Architecture – SciArc, Los Angeles, CA, USA. Urban Design Workshop in Bergamo, Italy Chair for principles of architectural design. Guest Professor and Acting Chair at the department for principles of architectural design (GDG) at the Technical University Munich (TUM), Germany faculty of architecture. Guest critic Peter Behrens School of Architecture, (PBSA) Düsseldorf – studio Prof. Anton Markus Pasing. Guest Lecturer at Texas A&M University exchange program at the Academy for International Education in Bonn, Germany. Guest critic at the Royal College of Art – School of Architecture, London – Diploma Unit ADS1_2.0 Roberto Bottazzi & Tobias Klein. Guest critic at the University of Denver, College of Architecture, Denver USA. Lecturer at Texas A&M University exchange program „Architecture as cultural memory“ organised and executed in Germany by the Academy for International Education (AIB) Bonn, Germany. Guest critic at the Academy for International Education Düsseldorf, exchange program with Texas A&M University, Texas, USA held in Duesseldorf, Germany. 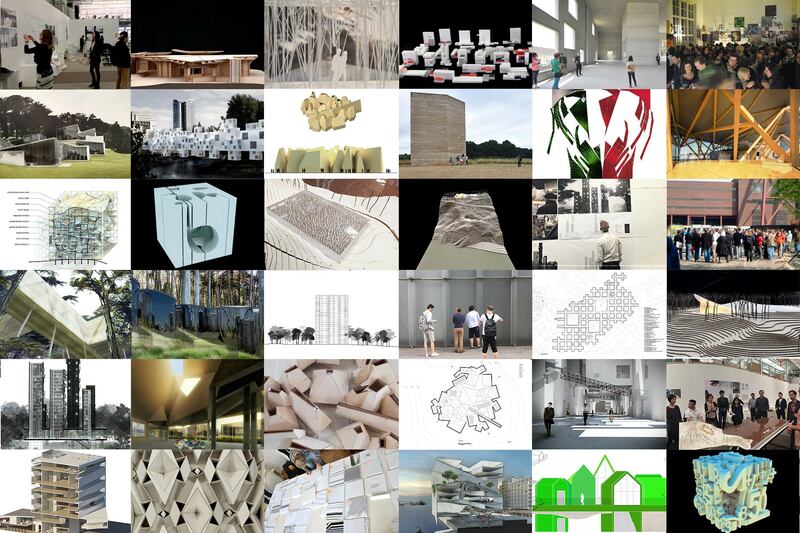 Guest critic at the Royal College of Art – School of Architecture, London – Diploma Unit ADS1. Guest critic – Architectural Association (AA) – Unit 3 – Naja & deOstos. Instructor at the joint workshop of the RWTH Aachen and the University of Applied Arts Vienna – Adaptable Surface Seminar with students of the classes Zaha Hadid, Greg Lynn, Wolf D. Prix and students of the RWTH Aachen, Germany. Master of Urban Planning NRW, Germany – Instructor at the design Workshop 2007 in cooperation with the architecture schools of Bochum, Dortmund, Cologne and Siegen. Guest critic at the University of Westminster, London, School of Architecture and the Built Environment. Guest critic at the Bartlett School of Architecture, University College London. Guest critic at the Peter Behrens School of Architecture, (PBSA) Düsseldorf. Guest critic at Bochum School of Architecture class of Prof. Andreas Fritzen. Guest critic at the University of Utah, College of Architecture, Salt Lake City, USA. Instructor at Plan Project- “Cityscape – space between city-ground and city-sky” workshop at „Plan06“ Cologne – organized through the BDA and the city of Cologne aided by the ministry for building and traffic of the state of Northrhine-Westfalia, Germany. Instructor at the international Euregio Workshop – Academy van Bouwkunst Maastricht, the Netherlands. Guest critic at the Bartlett School of Architecture, Unit 20, Marcos Cruz and Marjan Colletti. Instructor at the International Euregio Workshop at Zeche Zollverein UNESCO world heritage site and at Blue Box Bochum. Guest critic at the Peter Behrens School of Architecture (PBSA), Düsseldorf studio of Prof. Anton Markus Pasing. DAAD (German Academic Exchange Service) – Member of the commission for the selection of scholars in architecture. Assistant Professor for integrated architectural design, Bergische University Wuppertal – Wuppertal, Germany. Southern California Institute of Architecture – SciArc, Los Angeles – Guest critic and assistant thesis advisor with Edwin Chan. Parsons School of Design New York – Teaching Assistant for digital representation and freehand sketching.